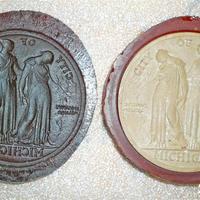 Small medallion mold for City of Detroit relief, made of rubber with a hard resin positive cast. 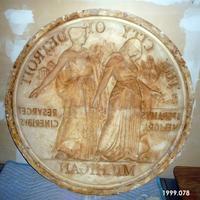 Plaster relief for City of Detroit mold with shellac coating. 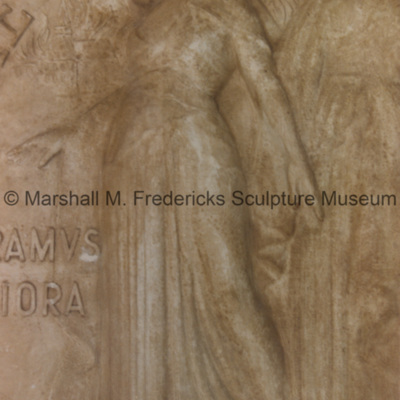 The yellowish discoloring is from shellac used to seal the plaster. 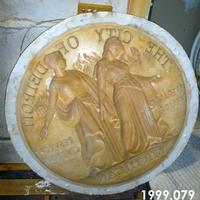 Mold for City of Detroit relief. 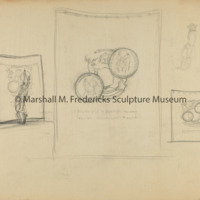 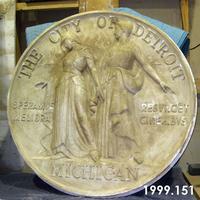 Written on back is "City of Detroit". 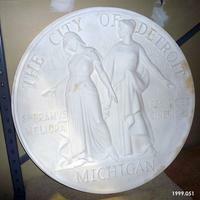 Plaster relief seal for City of Detroit.